Read about Zoho CRM, a great solution for businesses of all sizes. Includes Zoho CRM reviews, ratings, and FAQs. Zoho CRM is a cloud-based solution that enables businesses to build strong customer relationships, streamline sales and marketing strategies, and improve workflow in one location. Pros: Packed with advanced features. Useful integrations with other software. Cons: Workflow automation is only available with the Professional edition. Bottomline: An intuitive and robust CRM platform for businesses of all sizes. What is the price range of Zoho CRM? Zoho CRM ranges in price from $12.00 to $100.00 per employee per month. There is a 15-day free trial. What features are included in Zoho CRM? 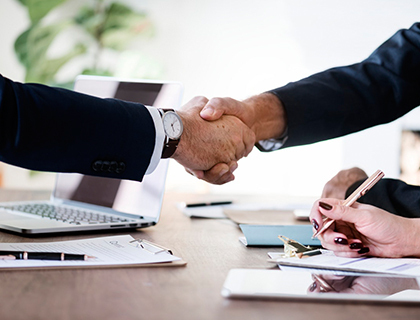 Zoho CRM software is a multichannel platform that allows you to connect in real time with customers and prospects and customize your layout for different processes. Other features include sales forecasting, analytics, sales automation, and pipeline management among others. The Enterprise and Ultimate packages incoporate Zia - artificial intelligence that learns about your business and team and offers predictions on leads, deals, anomalies, and conversions. Zia also automates repetitive tasks to speed up your sales cycle. Salesforce is one of the most robust and widely used CRM systems on the market. However, it may be too pricey and overwhelming for small businesses. If you're looking for a cheaper option with great features and ease of use, then Zoho is the better solution. Can I integrate other applications with Zoho CRM? Yes, Zoho CRM integrates with Google Drive, Google Adwords, DocuSign, MailChimp, RingCentral and more. Is there a Zoho CRM app? Yes, you can download the Zoho CRM app for iPhone and Android. The app allows you to do your work on the go even if you have no connectivity. Once you're back online, your data automatically syncs across all platforms. Where do I find the Zoho CRM login page? On the Zoho webpage, click log in in the top right-hand corner or go to zoho.com/crm/lp/login.html. How do I get in touch with Zoho CRM support? 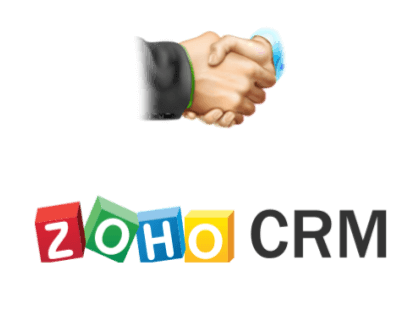 You can reach Zoho CRM customer service by going to zoho.com/crm/help/customer-support.html where you can access their helpdesk and knowledge base. Or send an email to support@zohocrm.com. Where can I find Zoho CRM reviews? You can find detailed Zoho CRM reviews on PCMag and Fit Small Business. Are there any Zoho CRM alternatives? I would recommend Zoho CRM. It is user-friendly and you can customize basically everything. I would look to Zoho CRM - less expensive than SF but easily customizable to fit your requirements. Really does well in B2B environbments. Yes. We are using a few products from the Zoho Suite. We initially started on the free plan. That was a while ago and right now we have around 15 users. The great thing about Zoho is that it can scale as your product does. If you get big, you don't need to start shopping for a better crm...you can continue to use zoho and just start purchasing required modules / user licenses. Right away I liked Zoho's CRM Plus with its crazy amount of features and not so bad pricing. We've just switched to Zoho CRM which has been great so far. It's free for three users. The only thing I've paid for to date is integration with our Google Apps email..but that's only $5/user/month. IMO, the Zoho user interface is much better than Salesforce as well. We tried Zoho CRM for a week but found out that the quotation and sales order module is very lacking. Yes, we can send direct quotations to our leads but it is a pain to edit it to fit our needs. We have HTML knowledge but Zoho CRM’s quotation templates are really a pain to handle. Also, Zoho CRM’s interface is not that good and you have to move to different tabs to manage your leads and sales pipeline. We gave up after one week.